Moving or operating the device while it is submerged is not tested during the laboratory tests. There are also many environmental factors which we could not assess (e.g. water movement or water pressure changes during the movement), if a device is used underwater. 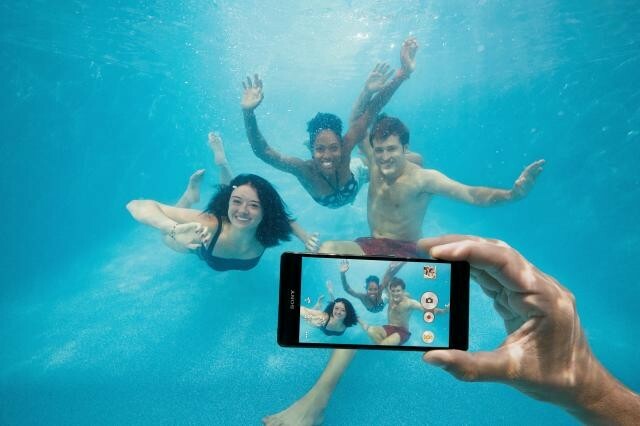 Therefore we recommend not submerge our Xperia Z5 in water. We can speculate as to why the change of heart has taken place, but in cases like these, it’s almost always about money. Having to repair or replace phones under warranty, at no cost to the customer, when phones get water-damaged has a negative impact on the mobile division’s already troubled finances. Still, I find it incredibly disappointing to see Sony backtrack on one of its biggest selling points. For a long time, as already mentioned, the Xperia series’ was proudly shown off in ads. It was a big, unique selling point that undoubtedly will have influenced buying decisions from real customers, with real money. The sad part is that the IP68-rated waterproof certification will undoubtedly be used heavily marketing again with the Xperia Z5, Z5 Compact and Z5 Premium. People will buy these phones thinking they can go on their vacations to the beach, or to the pool, take awesome pictures underwater in full confidence that their device can handle the rigors of a chlorine pool, or the sea. They won’t have read the terms advising you not to use the device in water. All you’re ‘technically’ protected against is “gently” putting the phone in a small amount of water, leaving it there, and “gently” removing it.